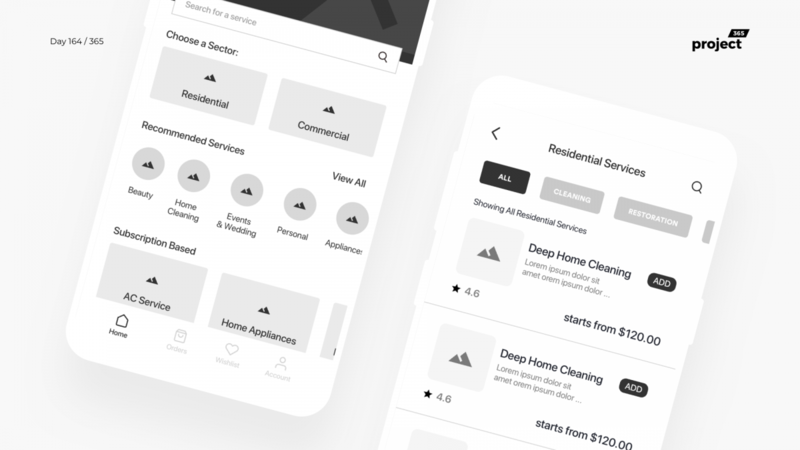 Brief: To design a mobile app wireframe for home services app. 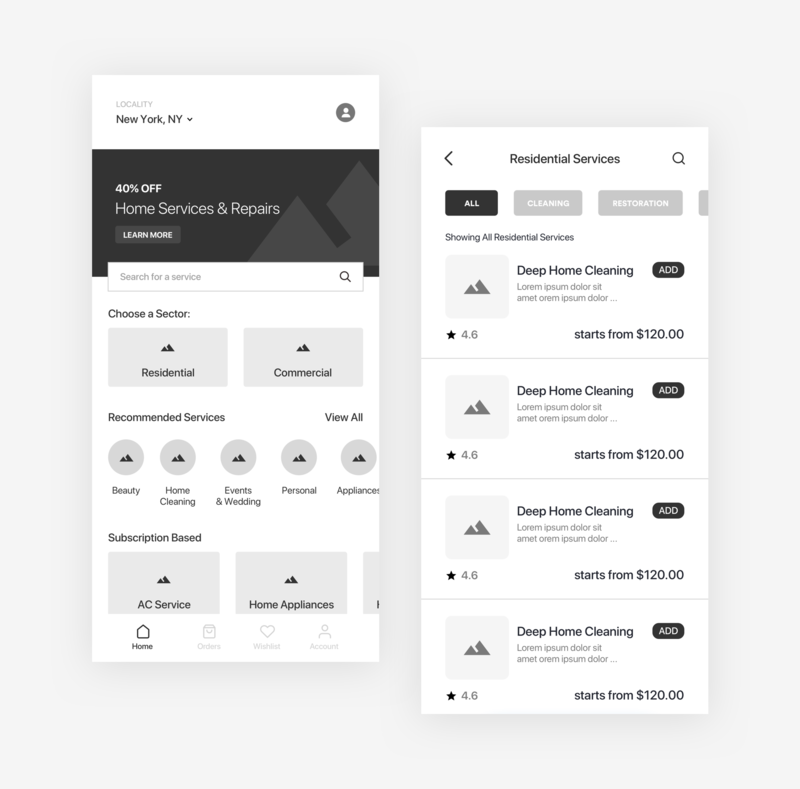 Wireframe for services app, required by people at Home or Commercial properties. Services like Plumbing, Cleaning, Restoration, Electricals etc. A simple yet straightforward app concept.